Is work or school stressing you out? You may be taking it out on your teeth through a condition called bruxism. Bruxism is characterized by the grinding of the teeth and is typically accompanied by the clenching of the jaw. Researchers classify bruxism as a habitual behavior as well as a sleep disorder. Untreated bruxism can lead to other health problems, damage to the teeth and gums, and even temporomandibular joint disorder (TMD). The symptoms of bruxism vary and can include anxiety, stress, and tension; depression; earache; eating disoders; headache; insomnia; and a sore or painful jaw. If left untreated, bruxism eventually shortens and blunts the teeth being ground and can lead to facial muscle pain and TMD. In severe chronic cases, it can lead to arthritis of the temporomandibular joints. to recognize the signs of bruxism during a dental exam and may even suggest further analysis of your bruxism, such as recommending an overnight stay at a sleep laboratory. Do you have questions about bruxism? 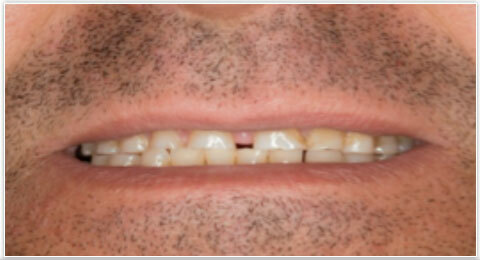 Please contact us at Queen’s Park Dental, we would be happy to help you.